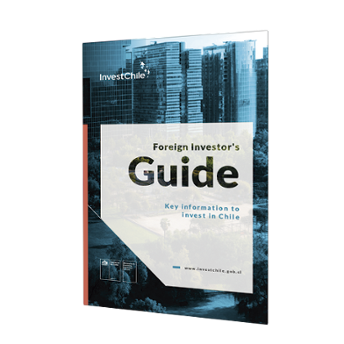 A Chile-Portugal Investment Promotion Seminar will take place during the official visit to Chile of a Portuguese delegation led by Prime Minister António Costa. The seminar will include presentations by the principal representatives of InvestChile and AICEP Portugal as well as testimonies of leading Portuguese companies with operations in Chile. InvestChile and AICEP Portugal Global will also sign a Collaboration Agreement. The seminar will take place on June 14 at 15:30 in the O’Higgins Room of Chile’s Ministry of Foreign Relations (Teatinos 180, 2nd floor, Santiago). To participate, check the program and complete your registration here.